Listen: One Week Wonder - "Angel Eyes"
One Week Wonder is an Icelandic project comprised of Árni, Magnus, and Helgi. 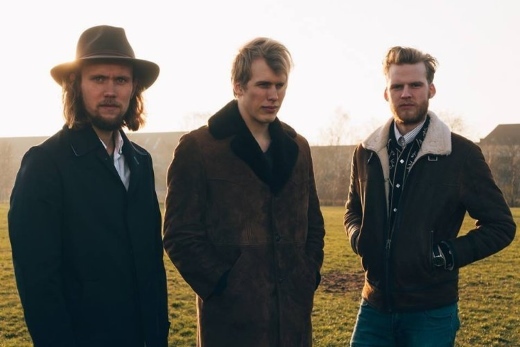 Hardly newcomers, one of the project’s members – Árni – was a founding member of the group Of Monsters And Men. Recently releasing the EP Mars, One Week Wonder has been increasing in popularity rather impressively, with the debut video for the EP’s self-titled track earning several awards (watch it below). They just wrapped up a trip to the US as well, playing a handful of shows. Another effort, “Angel Eyes”, shows a suave and twangy sound with a psych-friendly organ backing that showcases the group’s ’70s-influenced arsenal well. The stylistic approach here reminds fondly of Canadian act Timber Timbre, with a hint of country and folk-ish twang within a lush, psych-friendly formula. It’s a striking effort that should encourage checking out Mars.